Teri had a career as a civilian working with military families of the Army and Air Force before returning to Alaska to begin her career in real estate. She and her husband Dave own and manage 16 rental properties. Along with assisting clients with selling and buying homes, Teri assists with the layout, design and furnishing of her and Dave’s remodeled and corporate rental properties. Teri, originally from Washington State, has lived in Turkey, Texas, Alaska and Hawaii. She has traveled extensively throughout Asia and Europe, which has made a strong impression on her perspective of homes. 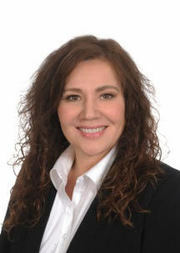 Meeting client needs is very important to her, and she enjoys all aspects of real estate. Teri has enjoyed mountaineering, triathlons, marathons, and most recently loves her time training her German Shepherd Nikita. Together, Teri and Dave make up the team RE Alaska, and are a dynamic pair who can help you with any of your real estate needs.